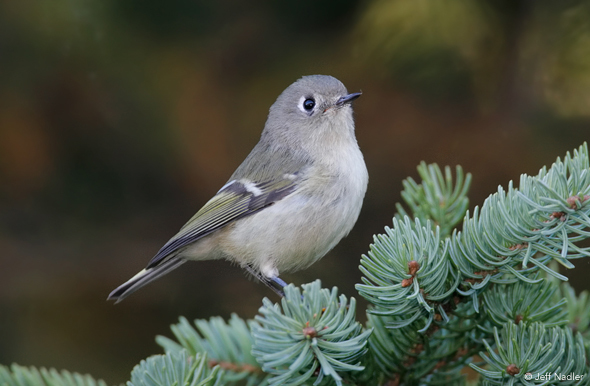 A boreal bird is a bird species that breeds in, migrates through, or otherwise relies on North America's boreal forest region during its life cycle. All in all, 325 bird species can be thought of as a 'boreal bird', with more than 300 of these species regularly breeding within this vast, still mostly intact forest. This includes a wide variety of songbirds, shorebirds, waterfowl, raptors, and others—many species of which we've come to recognize wintering in or passing through our neighborhoods during spring and fall migration. Although much of the southern boreal forest has been developed or otherwise altered by humans, the vast majority of the northern portion of the forest remains as unspoiled wilderness to this day. This has allowed migratory birds to continue returning to their favored breeding grounds each summer. Some species rely almost exclusively on the boreal forest for breeding habitat: for as many as 35 species, more than 80% of their overall Western Hemisphere population breeds within the boreal forest. 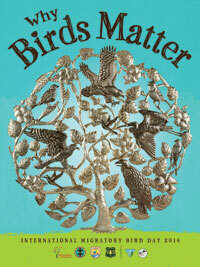 Each spring, between 1 to 3 billion birds begin making their way up to North America's boreal forest. Some have shorter trips from the Lower 48 while others begin their journeys as far away as southern South America. During peak migration, millions of individual birds may cross the U.S. border into Canada toward the boreal forest on any given day or night. Many species of birds do in fact migrate at night, so that the migration of these huge numbers of birds can go largely undetected. Many will stop in places scattered throughout the U.S. along the way, becoming the beloved backyard birds of spring and fall migration we have come to know and cherish. It's the season they've all been waiting for. Upon arriving at the forest, billions of birds will pour into the boreal forest and settle into suitable habitat to begin breeding and preparing to hatch their young. The millions of lakes and rivers (both small and large) not only look inviting to a variety of waterfowl and shorebirds, but produce an abundance of insects that insectivorous birds gladly swoop up. The vast expanses of still-pristine forest provide a wealth of habitat and food for the many iconic songbirds of the forest, while raptors spread out to capitalize on the now-present abundance of riches below. Once the young have had time to hatch and learn how to fly, it becomes yet again the time to pack up and move. For seasoned migrants, they will begin a familiar journey back toward their wintering grounds to the south. For the newly hatched, they will be experiencing the greatest test of their early lives. More than 1 billion will end up heading to settle in the U.S., nearly 700,000 in Mexico, and the remaining billions spreading out over Central America, the Caribbean, and South America. In total, between 3 to 5 billion birds emerge out of the boreal after nesting season each fall. This U.S. Fish and Wildlife Service video highlights the connection of the boreal forest to North America's birds. An estimated 82% of the species' North American population breeds within the Boreal Forest.